When we first told acquaintances that we intended to emigrate from the UK to Australia with our dog in tow, we had to contend with expressions of astonishment and disbelief. The less charitable people suggested it would be cheaper to shoot him. Our belief was that if we’d had children we’d have had to take them with us, so Odo was emigrating too, whether those people liked the idea or not. Luckily, our local vet had helped previous animal lovers to emigrate with their pets and so we began the process. This included a range of health checks and vaccinations, together with organising Odo’s flight crate, which he’d be consigned to once leaving the kennel facility near Heathrow for his long-haul flight. 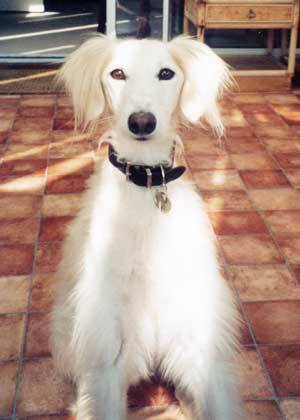 As we said our farewells to Odo at the kennels at Heathrow, we faced six weeks without him. His flight left a week before ours, and we were very tearful driving back home. Further, Odo was travelling to the quarantine kennels at Eastern Creek in New South Wales. Queensland, where we live, doesn’t have quarantine facilities for pets. Instead, we landed in Brisbane and faced a four-week wait for our beloved dog to join us while we found suitable rental accommodation. Have a back-up plan. If your dog is unable to emigrate with you, can you rely on trusted friends and family to adopt him for you? The staff members at Eastern Creek quarantine facility were fantastic during this time and didn’t mind our phoning a couple of times a week to check on Odo. He made friends with the staff easily, and it was their responsibility to ensure he caught his flight up to Brisbane at the end of the quarantine period of four weeks. When his flight cage was rolled through the doors next to the baggage carousel, all three of us were beside ourselves – as soon as we reached our car, we opened the cage, slipped his lead on and reacquainted ourselves with our furry friend. We did have a back-up plan. If for any reason Odo had failed any of the tests required to allow him to emigrate, my parents had kindly offered to adopt him. The thought of giving him up to a complete stranger just didn’t factor into our plans. He’d had too harsh a start in life, and deserved the best care possible. Yes, it was expensive to bring Odo out to Australia with us. Yes, we made sacrifices to ensure he could emigrate. Was it worth it? We had four wonderful years with Odo in Australia until he died of old age in 2009, and I can’t imagine those first four years in our new home without him. Emigrating with your dog can be costly, but it’s worth it. Rachel Amphlett is an international thriller and suspense author who was born in Hungerford in the 1970s and moved to Australia in 2005. You can read more about her on her website. This entry was posted	on Saturday 28 February 2015 at 14:39	and is filed under Australia. You can follow any responses to this entry through the RSS 2.0 feed. You can leave a response, or trackback from your own site.